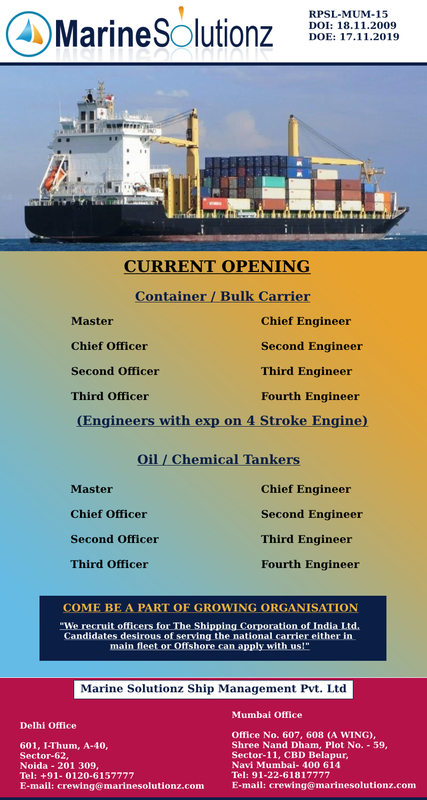 Advertisement of MARINE SOLUTIONZ SHIP MANAGEMENT PVT. LTD.
MARINE SOLUTIONZ SHIP MANAGEMENT PVT. LTD.